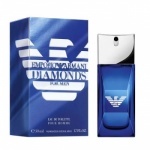 Emporio Armani Diamonds For Men is an original, surprising and addictive fragrance for men. 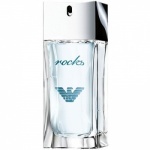 Emporio Armani Diamonds for Men is an icy fragrance that is contrasted with sensual, warm accents. This sparkling duality gives birth to a play of dazzling reflections, just like a cut diamond! Inspired by the Club and the British summer music scene Emporio Armani introduces the NEW DIAMONDS CLUB LIMITED EDITION, the ultimate fragrance accessory this summer.